← Freezing Hands. Warming Hearts. There’s a lot of talk about community. My volunteering friends. Helping to make our community a home. We work in communities, we shop in communities, we exercise in communities, we drive in communities, we worship in communities, we gather in communities, and we live in communities. For as long as humans have been around, anthropologists tell us that the vast majority of people lived in a community. Sometimes small, sometimes large, but almost always some type of community. But for all the importance of community, the word ‘community’ can be overused, Melia told me yesterday. She and I were talking while helping rebuild garden plots at one of Portland’s many community gardens on a foggy Saturday morning. 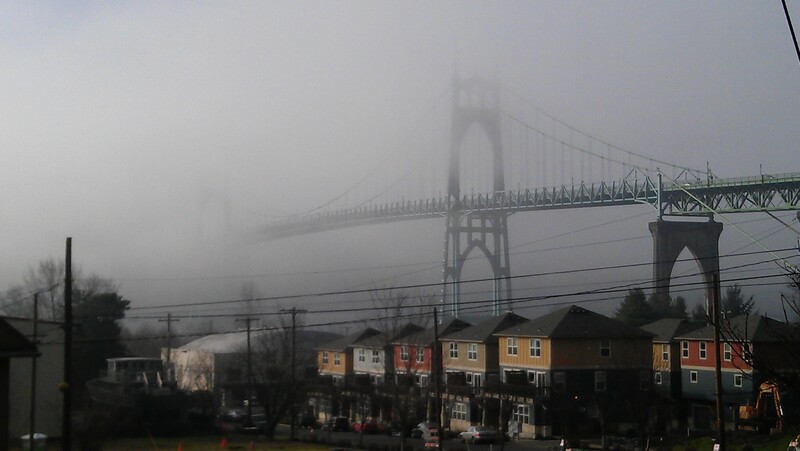 This one was in north Portland, near the St. John’s bridge. She is the East Side Program Manager for HandsOn Greater Portland, one of the best resources for finding volunteering opportunities in the Portland Metro Area. Whether it’s volunteering in a community garden or picking up trash in the neighborhood, it’s all a part of my home. When I volunteer, I see friends who share my home, and share a belief that we can make it better, not strangers who intrude upon it. When I volunteer, I’m contributing to a cause that isn’t foreign and distant, but to a cause that is homegrown and near. When I volunteer, I’m not just helping someone else’s neighborhood, I’m helping to take care of my home. I give, because it’s my home. Yesterday’s gift of time … Volunteered with my friends at Portland Community Gardens as part of the Martin Luther King weekend of service. 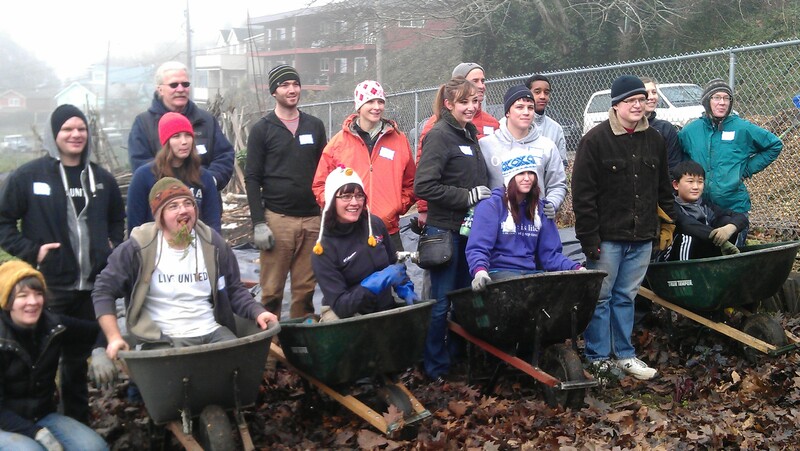 This entry was posted in In the community and tagged Community, Connections, give our time, give time, giving, Giving Our Time, giving time, Hands On, Hands On Greater Portland, home, martin luther king, MLK Weekend of Service, Portland Community Gardens, Volunteering. Bookmark the permalink.